Get uber graphic with your sense of style this season and mix and match this modern and handsome plaid patterned tie with your collection of oxford dress shirts, suits and blazers. The awesome color palette of proper navy blues, Egyptian golds and blacks looks dashing with absolutely everything. 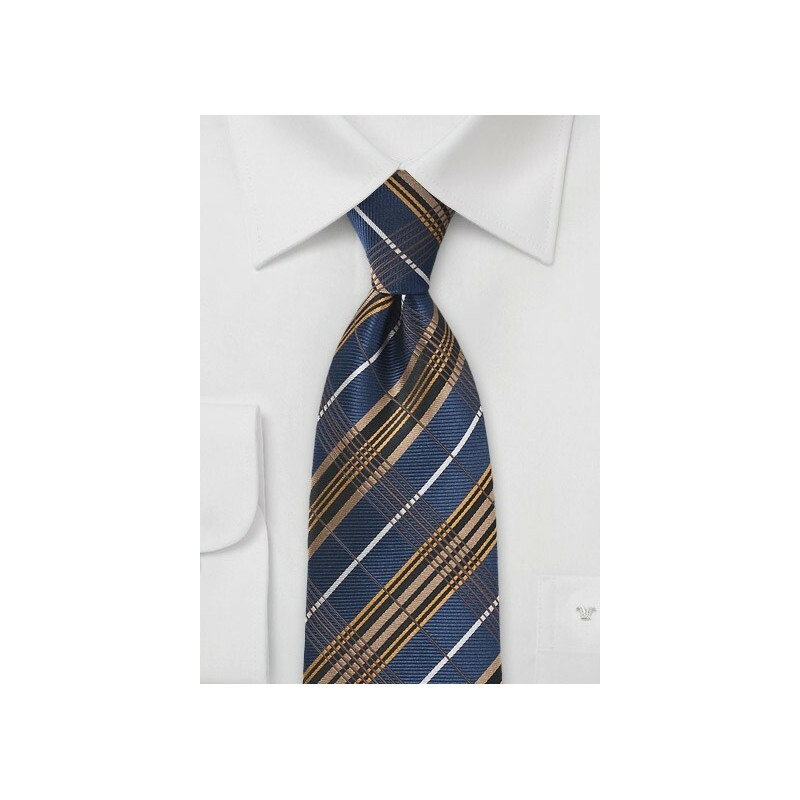 Debut a cultured sophistication this season by teaming this metropolitan plaid necktie up with a pastel blue button down and a classic navy blue suit. 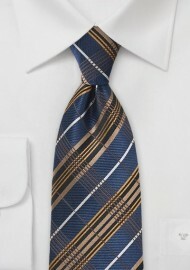 This designer necktie is made from one hundred percent silk. Designed by Parsley.